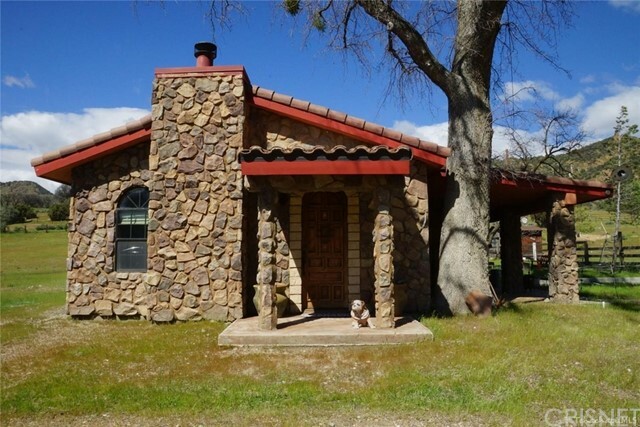 All Caliente homes currently listed for sale in Caliente as of 04/26/2019 are shown below. You can change the search criteria at any time by pressing the 'Change Search' button below. If you have any questions or you would like more information about any Caliente homes for sale or other Caliente real estate, please contact us and one of our knowledgeable Caliente REALTORS® would be pleased to assist you. "Secluded and private Equestrian life for the horseman who wants privacy, seclusion and endless trails for horseback riding. This 180 acre property, [including 4 parcels (180+acres), it's fenced and crossed fenced with 5 strand wire & hot wire. MD Barns metal barn and attached single family home featuring 1,491 square feet on a 4 inch slab. Double pane windows, blinds, free standing fireplace, kitchen with Whirlpool stainless steel refrigerator, laundry room with newer washer and dryer. Barn sports 6 stalls (12x12), wash rack, tack room, isle fully covered inch rubber mats. Garage has 2,650 sqft with a 1,000 sq ft. carport/porch, 3,500 gallon water storage tank, 5 gallons per minute and newer booster pump. The southern 158 acres (4 parcels) border land owned by the BLM which has a portion of the Pacific Crest Trail running through it-Very scenic! Beautiful Oaks, Pine & Juniper as well as rock formations. Deer, bear, quail, mountain lion, bob cats in the area. Not part of any association"
"A truly unique and historic 1920's doll has been transformed into a rustic and regal modern fairytale home. The well engineered 1500+ sq ft. home has a tile roof, double pane windows, hand crafted arched alder wood front door with speak-easy feature, and rear alder wood french doors. This home has all the charm of the country, without sacrificing your creature comforts. Central heat and a/c is supplemented by excellent circulation and a cozy fireplace. The open kitchen features custom countertops and a double deep stone sink framed by views of the countryside. Tastefully appointed bathrooms feature real wood cabinets, bowl sinks, and extra deep tile showers. Head outside and explore 20 acres of beautiful land, dotted with 30+ oak and pine trees. The property is entirely fenced with two entry gates, a sturdy horse corral, and seasonal creek on the south end. Enjoy two covered patios and roofed BBQ area as you take in the cool mountain breezes. Don't miss this stunning custom home!" "Are you ready for the ultimate private vacation or retirement getaway? This accessible 22.31 acre mountain home property features a 3-bedroom/2-bath 1,650 sqft home with newer roof and wood flooring throughout. A forced-air heating and wall air-conditioning system gives you all of the comforts of modern living, with an open kitchen that includes a kitchen island with stove top and seating. The spacious living room provides a practical and effective heating alternative for winter and also has its own laundry room inside. Master bedroom is very spacious with a beautiful view of backyard and has its own private bathroom. 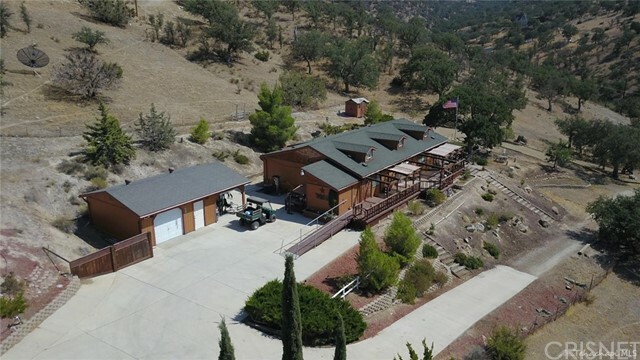 All 22.31 acres are usable and have been well taken care of, there is ample room for horses, dogs, parking an RV, or just letting the youngsters run in the outdoors. There is electricity and a landline for the telephone so put away you cell phone. A propane tank provides gas for the stove, and water is free courtesy of a private well and pump system. Just 3 hours from Los Angeles, or 1.5 hours from Bakersfield, get away from the big city traffic and congestion. Trout fishing on the Kern River or boating in Lake Isabella is half an hour away, world-class kayaking 45 minutes away, mountain biking out the front door, horseback riding on the many local trails. You must personally see the home and location to really appreciate and experience what this property has to offer. Come and see it!" 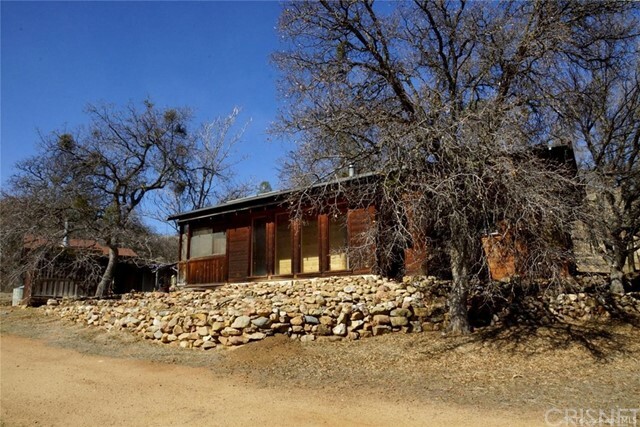 "Incredible mountain retreat on 20 acres of oak and pine studded land in the beautiful Twin Oaks Valley of Caliente. The front door opens into a large great room with stunning wood plank walls and a cozy pellet stove. Light pours in from abundant windows making the home bright and comfortable. The large master bedroom features an en suite bathroom with separate tub and shower and double sinks. The second bedroom also has a private bath perfect for company, and the third bedroom is generously sized. But you won't spend much time inside with the large wraparound deck! Enjoy sunrise to sunset and views of the valley for miles. Thoughtfully landscaped with terraces and multiple sitting areas to enjoy the scenery. Plenty of room for animals and projects, this unique parcel has access from both Little Valley Rd and Hilltop Rd and is fully fenced. Finished off with two wells, one private and one shared, everything you need for the mountain retreat of your dreams is ready and waiting." 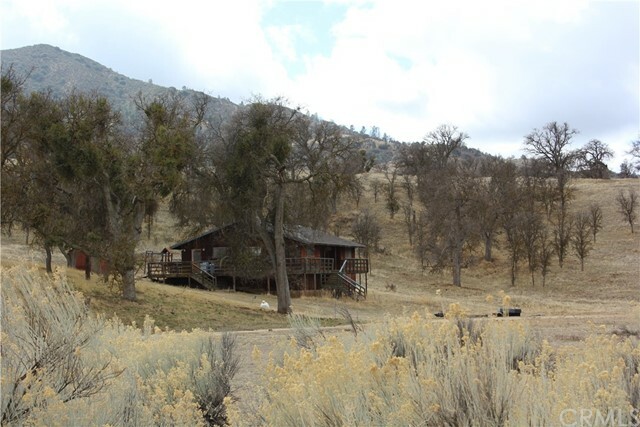 "Step back in time with this charming custom built cabin located in a private canyon of Twin Oaks. The one bedroom rustic retreat features knotty wood interior walls and floors with abundant personalized storage. Built by a master cabinet maker, every room has been expertly planned and beautifully maintained, with subtle details at every turn. The passive solar front hallway opens into the kitchen with terra cotta tile floors in both. The kitchen has a large stainless steel basin sink and two cooking stoves: one propane, and one old-fashioned wood, which can be used for cooking or heat. The front hallway not only provides warmth in colder months, but features built in wooden clothes hangers for drying clothes even in wet weather. Enjoy the cool breezes of spring in the enclosed porch that serves as the entrance to this idyllic cottage. All of this on 20 acres, including a small workshop that gives you ample room for projects and storage. You can experience true privacy with off grid solar and generator power, located only 2.5 hours from Los Angeles. Unplug, unwind, and let the mountain air refresh your spirit. This property must be seen to be believed."